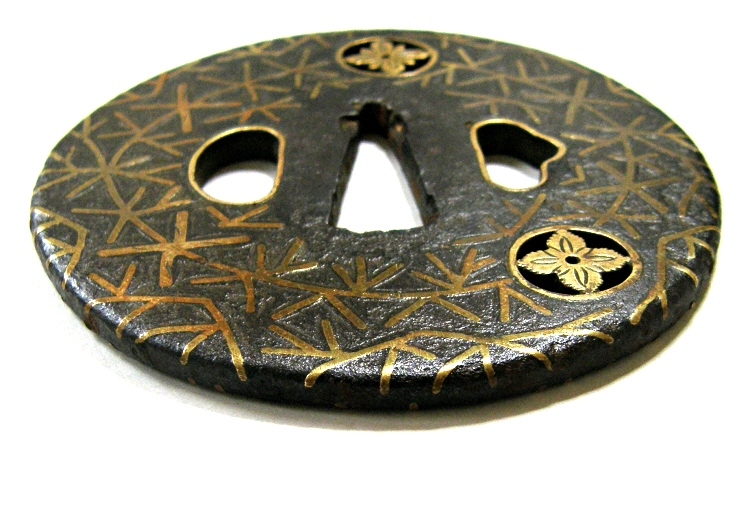 This tsuba was certainly produced by Koike Yoshiro, the founder of the Yoshiro-Shiki Shinchu-Zogan Tsuba. It is proved by the certificate issued by Nihon Bijutsu Token Hozon Kyokai. If another similar sword guard is applied for their appraisal, if the judges of NBTHK do not identify it as an artwork by Koike Yoshiro himself, it will never be written "Koike Yoshiro" on the certificate. 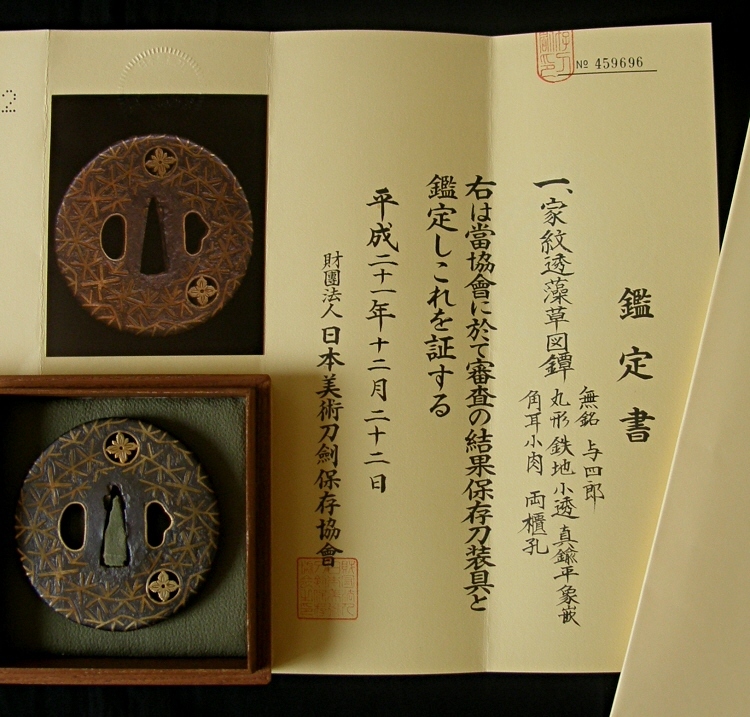 However, the certificate of this tsuba does ! 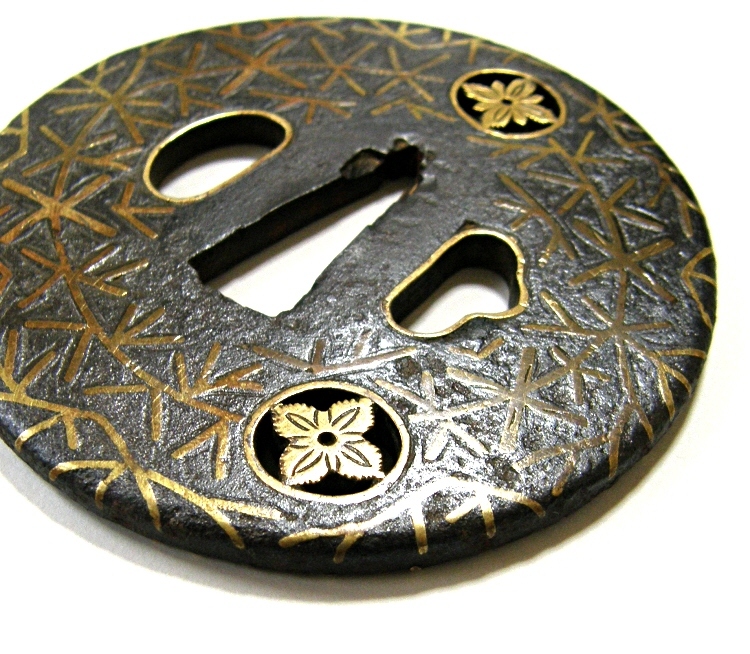 So, this tsuba is very precious one. 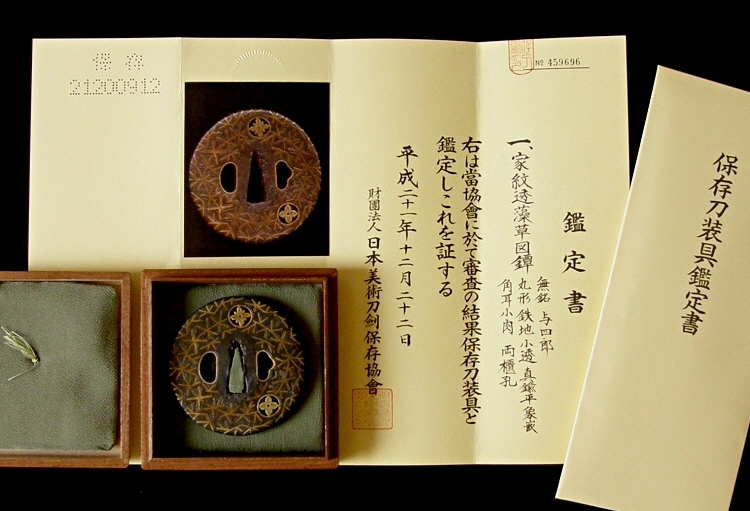 Family crests and algae are expressed in small openwork and the Shinchu -Gankin and Hira-Zogan inlay methods with brass. The rim part is outlined in the Maru-Mimi shape. The Kozuka-Bitsu and Kogai-Bitsu Holes are covered with brass plates (=Fukurin). 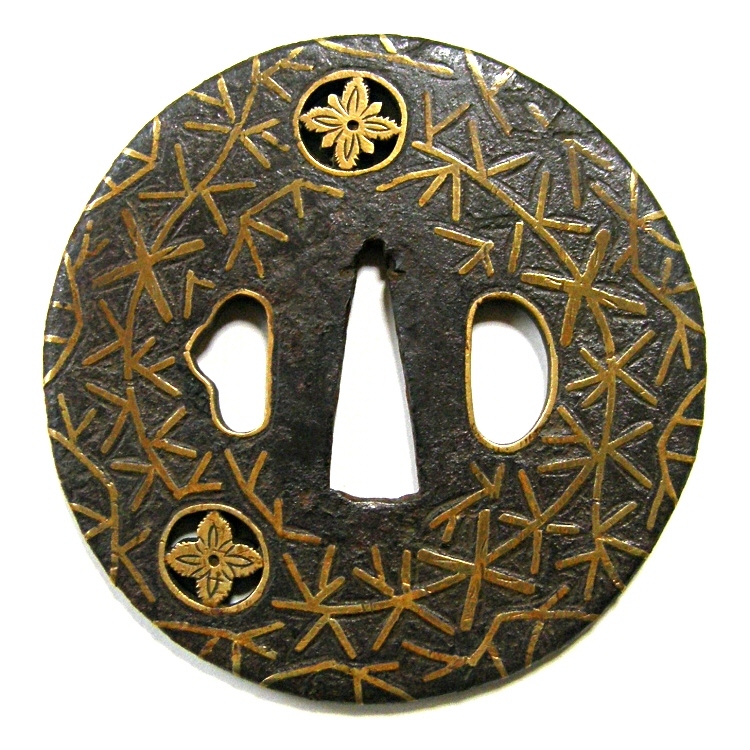 It is slightly rusty, though, the color of this tsuba is very tasteful as it is forged very well. The Zogan inlay is not peeled off. 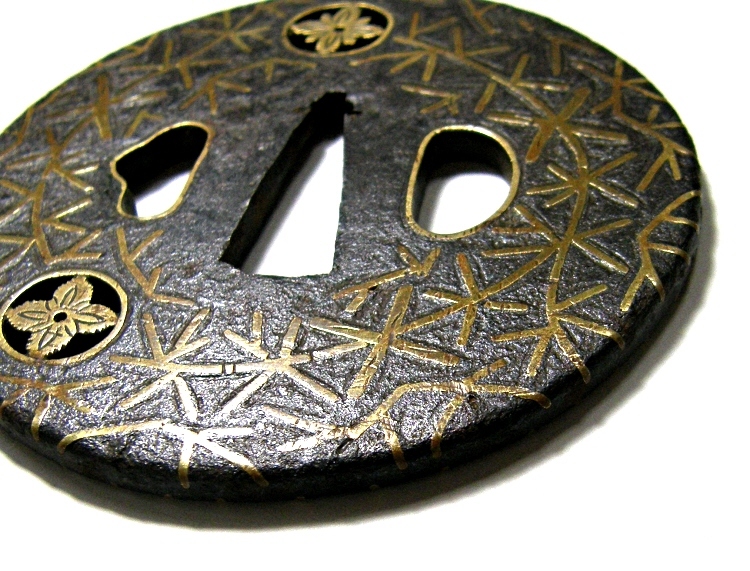 This tsuba is made from iron. The color is very tasteful as it is forged very well. The motifs are expressed in the Kebori carving method. 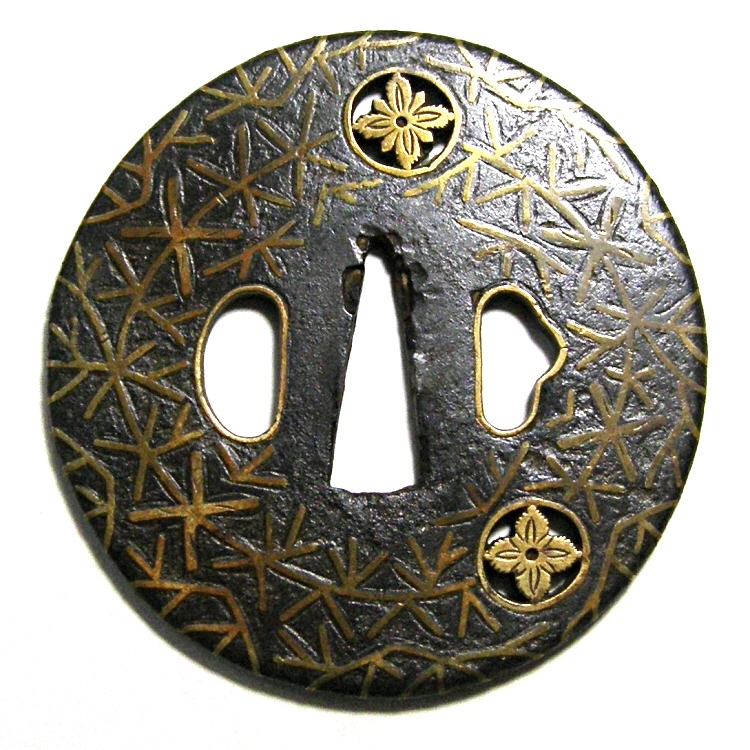 The motifs are also expressed in the Shinchu-Gankin and Hira-Zogan inlay methods with brass (alloy of copper and zinc). The family crests are expressed in small openwork.